Congratulations to Edva Bank (right) and Tzvia Ron! The 12th graders at OTS’s Oriya High School took first and second place, respectively, in a dance performance competition that took place at the national conference for all dance track students in the religious education system. In the wake of their win, the two were awarded scholarships to the Orot Israel college for women. took first and second place, respectively, in a dance performance competition that took place at the national conference for all dance track students in the religious education system. 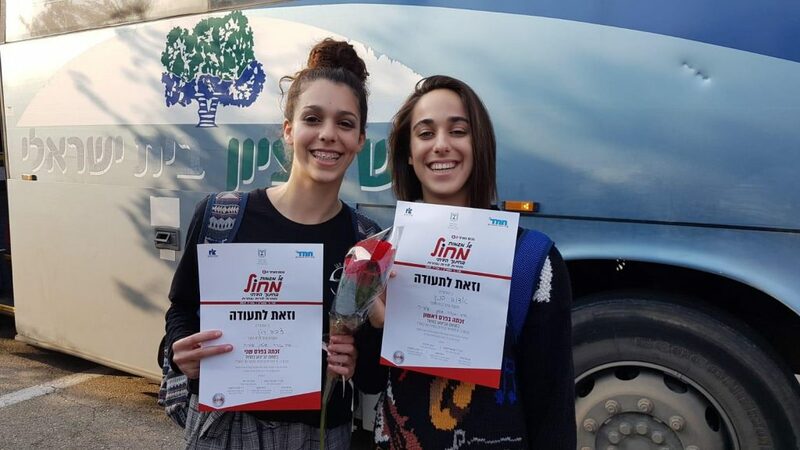 In the wake of their win, the two were awarded scholarships to the Orot Israel college for women.